> Play It Again, Sam! Kids' Party Entertainments > Play It Again, Sam! Play It Again, Sam creates a personable, easy-listening atmosphere for your special occasion. 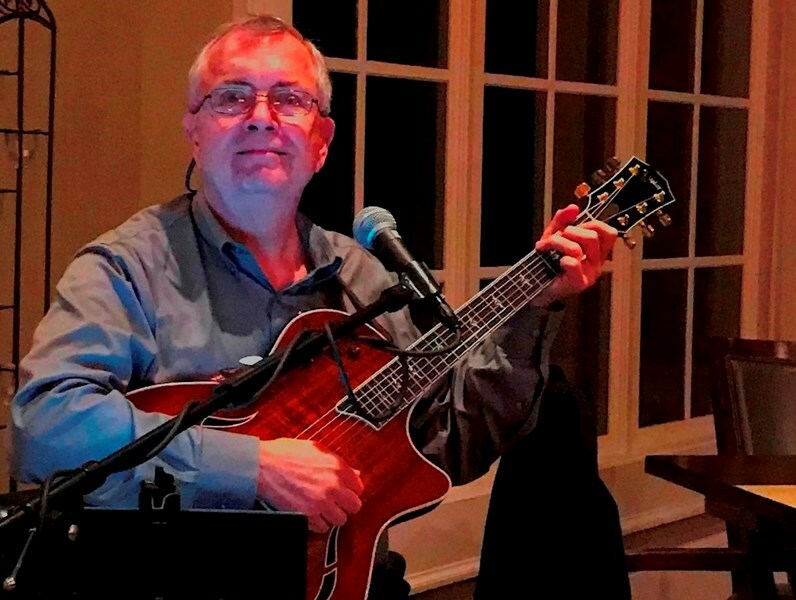 Social hours, dinner events, corporate parties, wedding receptions, birthday or anniversary celebrations, retirement parties, and holiday gatherings; with early booking, we can customize the set lists to enhance the theme of your event. 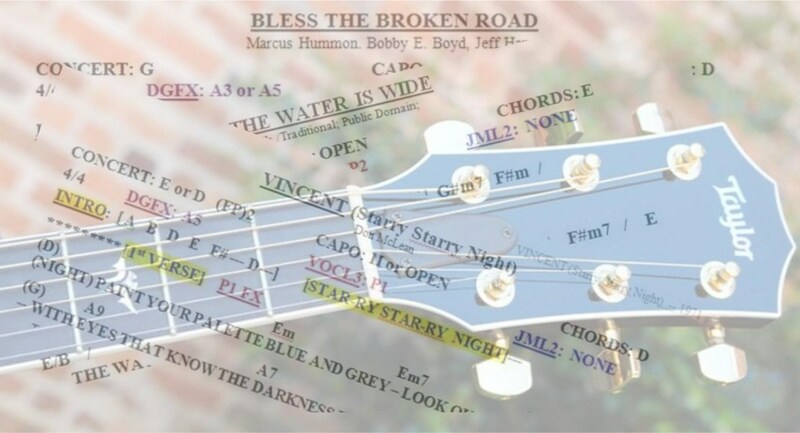 All selections are performed with guitar and vocals, and most titles include digital in-style ensembles. Along with selectable doubling and added vocal harmonies, these custom arrangements enable familiar guitar breaks and spontaneous solo work. In short, you engage one accomplished musician, your guests enjoy the soundscape of a full band. While it's OK to call them OLDIES, I refer to these titles as VINTAGE or CLASSICS; some are indeed TIMELESS. Generations of composers, lyricists and gifted songwriters collaborated with extraordinary musicians through these decades, yielding a wide variety of GOOD MUSIC in their own TIME. As my collection morphed into accomplished repertoire, I gave my always-growing songbook a name: GOODTIME MUSIC! The GoodTime Music collection is really a time machine that runs on nostalgia! *** Blend in The Eagles, classic Country, Remember-When Soul ballads, and a few familiar tunes from the movies? THERE YOU HAVE IT! Music in the air for your special event! The stagecraft is self-contained and compact; easily scalable to room-size and audience, with BOSE sound equipment. Thanks for reading my proffer to perform for your special event! We hired Sam Phillips to play at our annual family holiday party...all I can say is, WOW! Sam was not only extremely professional and thorough when preparing for our event. He also had such an amazing stage presence and brought everyone to awe. He provided a variety of music that everyone knew and sung along to. Though we had the best decoration, food and drinks at our party - people left RAVING about Sam! All I can say it, we can’t wait for Sam to Play it Again at our next event. Sam did a lot of work preparing some specific song requests to fit our event theme (Frankenstein). He showed up promptly when he said he would and set everything up with no fuss. He was very easy to work with and charged us a price that was more than fair. All attendees enjoyed the atmosphere he provided with his music, which was eclectic in scope and skillfully executed. 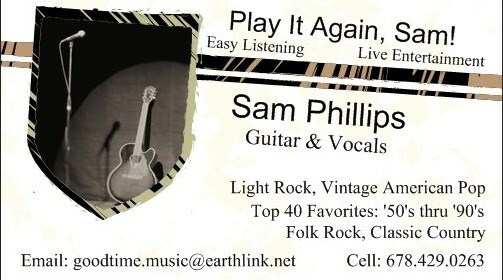 Play It Again, Sam would be an excellent choice for light entertainment or background music for casual events. Sam did a great job, had the party on point! Please note Play It Again, Sam! will also travel to Fayetteville, Sharpsburg, Tyrone, Senoia, Brooks, Newnan, Sargent, Palmetto, Clarkdale, Fairburn, Howard, Jonesboro, Moreland, Union City, Riverdale, College Park, Hampton, Red Oak, Atlanta, Gay.